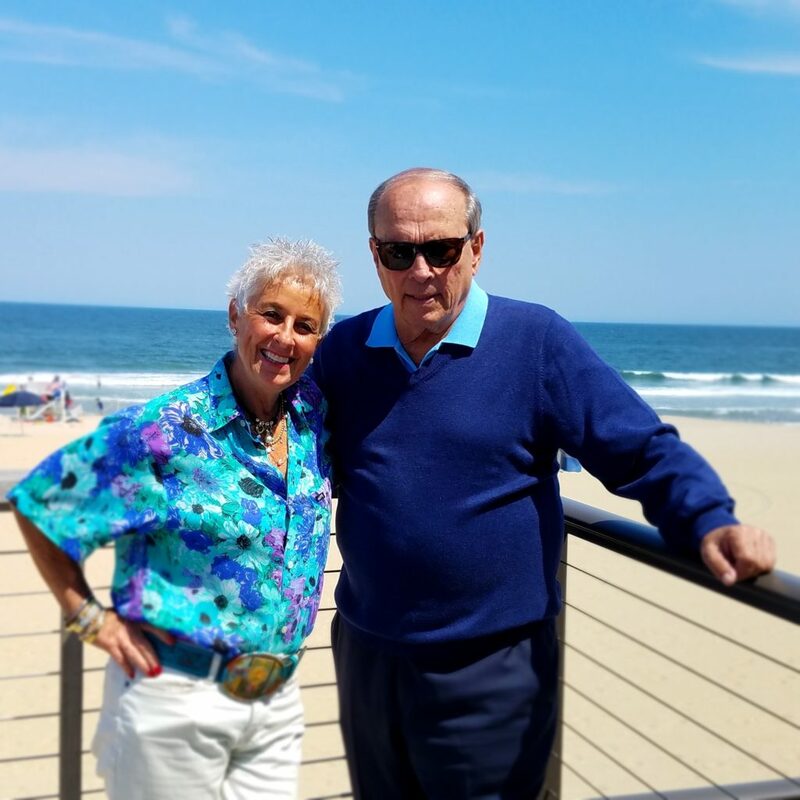 “We’ve been partners for 25 years!” Karen Marzulli of Mr. C’s Beach Bistro said, squeezing Chic (Mr. C Himself) Perrotto’s shoulders affectionately. In 2006, the team assumed ownership of Allenhurst Beach Club’s restaurant after operating a spot by the same name in Deal since 1991. Built in the late 1930’s, the Allenhurst venue was designed to resemble an ocean liner; with striking blue and white details and seating available inside as well as on the roof, guests dined amid cool breezes and sweeping views of the Atlantic. Read the Rest of “Return of the Beach Bistro” Here! 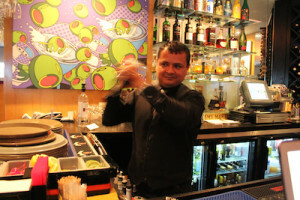 The BEST Mixologist on the Jersey Shore! 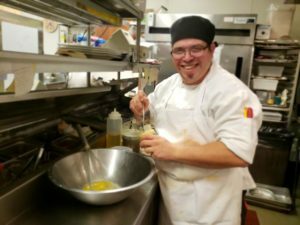 Kevin is a two-time WINNER of the "Best Bartender" Competition at Jersey Shore Restaurant Week, once a judge's choice and once the people's choice! Kevin's margaritas are legendary, and with Karen he is pioneering the concept of "Farm to Shaker", using ingredients he sources directly from his garden into his drinks! 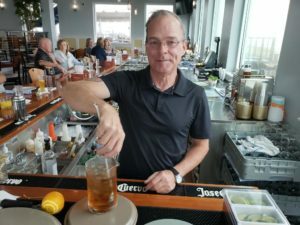 Come by any Wednesday at 5pm for Cocktail Corner, watch Kevin make three new drinks and help us sample them! For 18 years, Marcos has been with us, delivering smiles, brilliant drinks & laughs abundant to the tens of thousands of patrons of Mister C's Beach Beach Bistro and now Mister C's Beach Beach Bistro. We wouldn't know where we'd be without him. Swing in and say Hi!